The 86 rooms and suites of The J House Greenwich showcase the best in contemporary luxury. 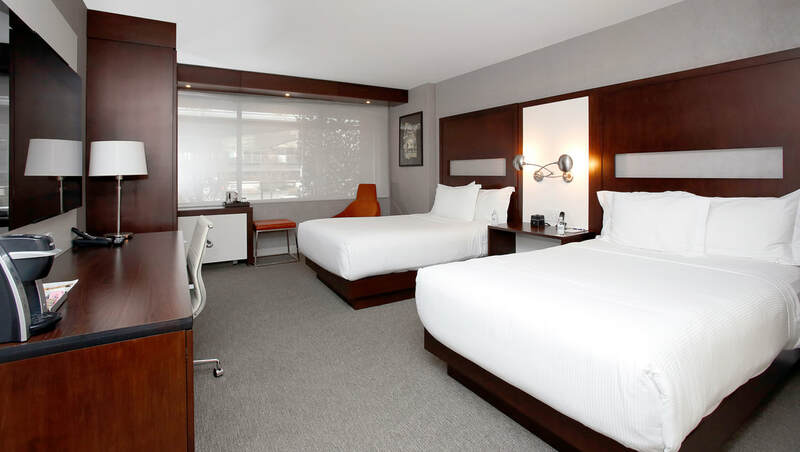 High-tech convenience merges seamlessly with the comforts and amenities expected of the finest luxury boutique hotels, including free Wi-Fi, 55” LED Mirror Televisions, fully automated lights and shades, LED bed accents and a state-of-the-art Toto Neorest® in the washroom. For relaxing business and leisure stays, The J House Greenwich offers a hotel experience unlike any other. This 797-square-foot suite is the ultimate suite! Featuring 75-inch TV in the living all Restoration Hardware Furniture. Planning to stay with us for an extended amount of time? Stay in our 450-square-foot Double Executive Room and feel spoiled with thoughtful perks. Our 252 square-foot King Deluxe Room elevates your comfort to the next level, featuring an outdoor patio with seating for your relaxation. On our upper floors you can find yourself resting easy in our 252 square-foot King Superior Room, ideal for the meticulous traveler. On our upper floors you can find yourself resting easy in our 252 square-foot Double Superior Room, ideal for the meticulous traveler.